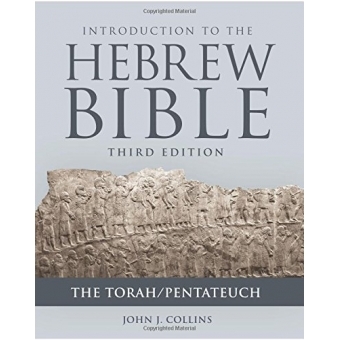 John J. Collins's Introduction to the Hebrew Bible is one of the most popular introductory textbooks in colleges and seminary classrooms. Enriched by decades of classroom teaching, it is aimed explicitly at motivated students, regardless of their previous exposure to the Bible or faith commitments.The third edition is presented in a new and engaging format with new maps and images. An index has been added to the volume for the first time.In order to enhance classroom use, Collins's major text has now been divided into four volumes, one for each major part of the Hebrew Bible. This volume focuses on the Torah/Pentateuch. Here, Collins explores the Near Eastern context and the nature of the pentateuchal narrative and provides helpful insights into Gensis thorugh Deuteronomy.The volume also contains the introduction to Collins's major text and is now available with even more student-friendly features, including charts, maps, photographs, chapter summaries, and bibliographies for further reading.Collins presents the current state of historical, archaeological, and literary understandings of the biblical text and engages the student in questions of significance and interpretation for the contemporary world.